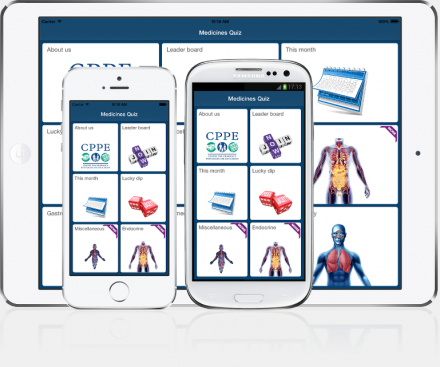 Digital Workshed has worked with the CPPE to launch a new app for healthcare professionals. 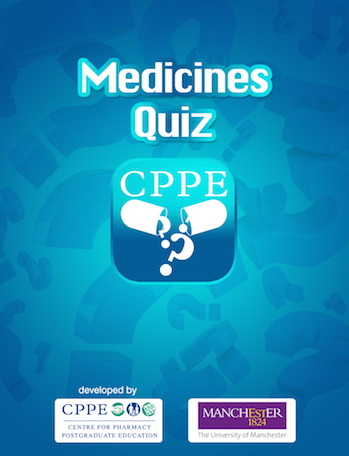 The Medicines Quiz app provides a selection of quizzes for healthcare professionals and students to test their knowledge on medicines in specific therapeutic areas. Users can choose a topic or click on the Lucky dip. Once they’ve had a go, they can join the Leader board to compare results with those of colleagues. – Keeps you up to date with developments in medicines. 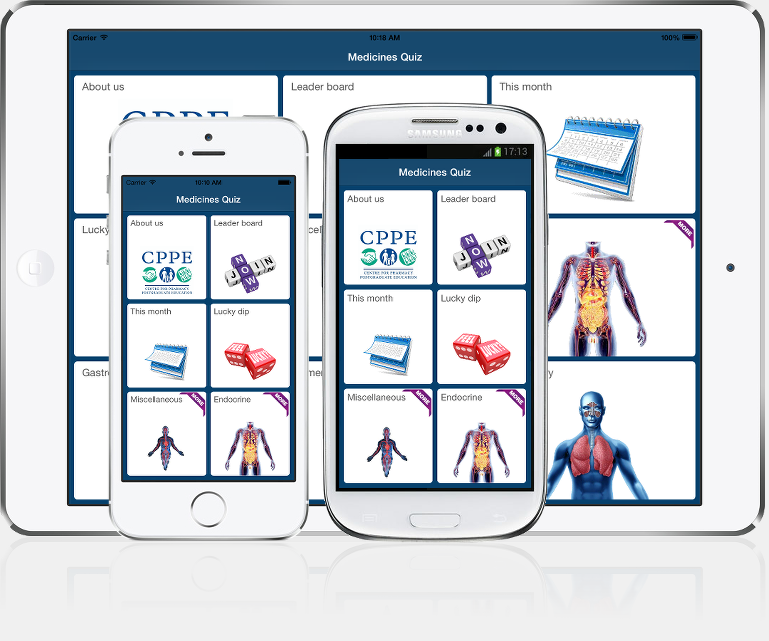 Built for iPhones, iPads, android phones and tablets the Medicines Quiz is available in the iTunes and Google play stores.